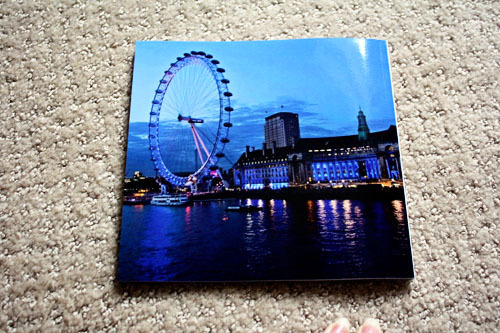 Sometimes it’s nice to have real, tangible versions of your photos, is what I’m saying. So when one of my longtime-reads, Casey at moosh in indy, enthused about her photo books, I thought about trying that in the future. 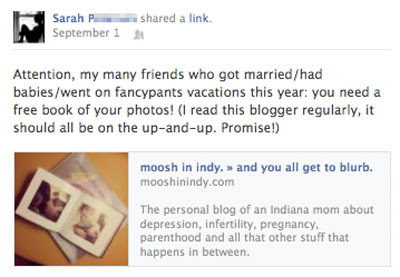 And when she offered a coupon code for a free Instagram book from blurb over Labor Day weekend? I decided the future is now, you guys. Only problem: I don’t use Instagram. (Remember, I don’t have a smart phone. My phone is dumber than rocks.) And as I said, I rarely upload photos to facebook anymore. Fortunately, though blurb makes it easy to import your photos from social networking sites, you can just as easily import them from your computer. 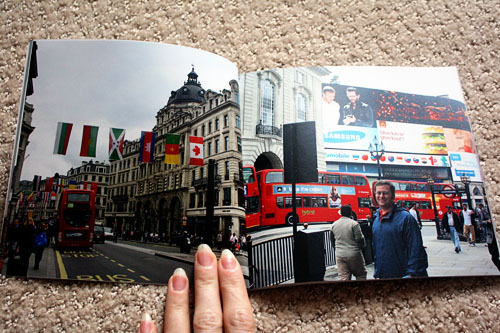 And what photos, pray tell, did I import for my free photo book? THREE GUESSES. NO WAIT JUST ONE. 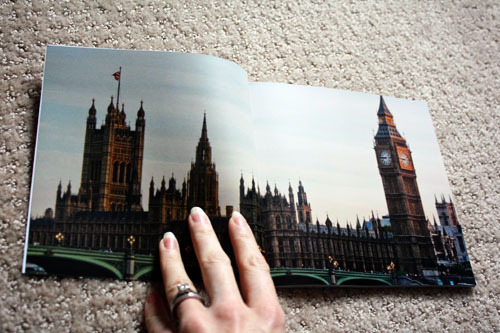 Sixty pages of London memories! As a way of saying “thank you” to blurb for offering a $20 coupon code (equivalent to a free sixty-page 7x7” paperback photo book), lemme do a little quid pro quo and plug their book-making software. I downloaded the program about five hours before the coupon code expired and prepared to DO BATTLE in the time crunch. But you guys, their software was super easy to use. At no point do you upload your photos to their site to make the book - it only uploads the finished product, once you made it locally on your OWN computer with your OWN file system. LOVED THAT. 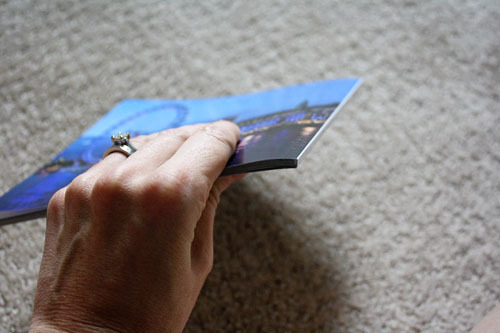 I’ve made photo books on a few sites, and blurb’s was by far the easiest. I had my book together in under an hour! 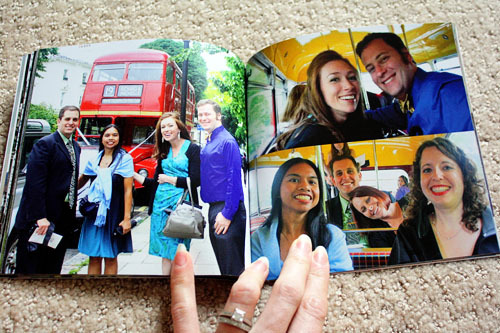 You can talk price or photo quality or whatever when it comes to making these photo books. But for me, if I’m ever going to put digital photos to paper? It must be easy. So props to blurb for their easy-to-use software. Fist bump! Holy moly, that photo is beautiful. I mean, you’d steal them too, right? Totally the best photographer on our trip. 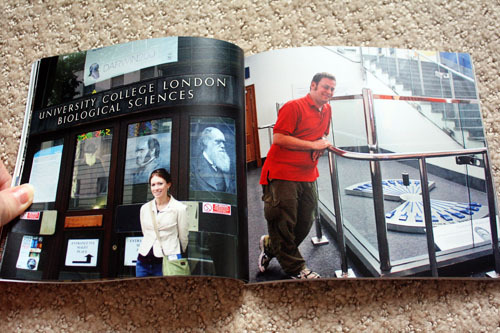 Though I love full-page, full-bleed photos, making templates with multiple photos per page was also a piece of cake. Now that I see it, it looks a little busy with the photos up against each other, so maybe I’d use a margin around the photos in the future. 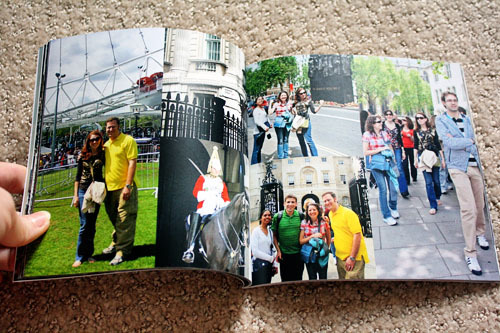 Though how fun is it to see all the photos of our group together in London? Geez louise, I love those colorful photos of my favorite people. Some of which I actually took myself! Those are memories worth revisiting in years to come. Yes. And for less than the cost of an inkjet cartridge, even without a coupon code? It just might be worth it after all. 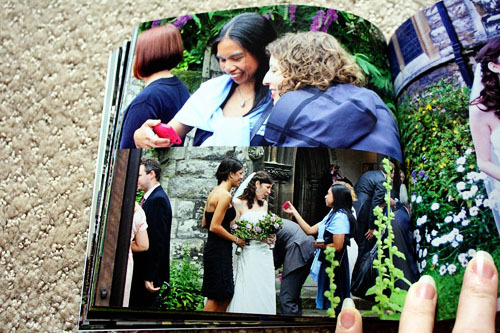 After all, what’s the point of taking all these photos if they disappear into digital oblivion? So thank you, Casey, for the motivation. And thank you, blurb, for making it happen! I love phone books. I made one on Shutterfly using my favorite, and often goofy, pictures from our wedding reception. It makes me happy to look at and I definitely look at that album (or the official one from our photographer) more often then I try and pull up old photos on a computer. 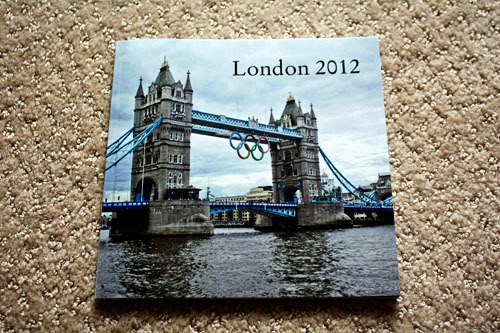 I've been wanting to make albums for various events, but it always takes so long. Now I might consider using Blurb because it seems faster! SO awesome! And OMG, I need to make a dropbox folder of all the london photos so you can officially steal all the ones you want!! !